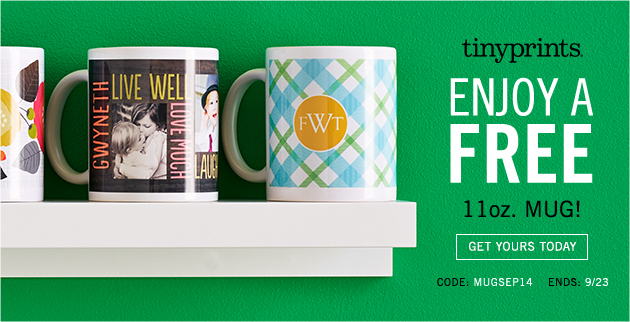 Tiny Prints is offering new customers a FREE Custom Photo Mug right now (reg. $15.99). Just use coupon code MUGSEP14 at checkout to get your discount. Shipping adds $6-$8 (depending on where you live), but this is still a fantastic deal for a personalized gift idea! Think ahead for special occasions. These are especially great for grandparents.